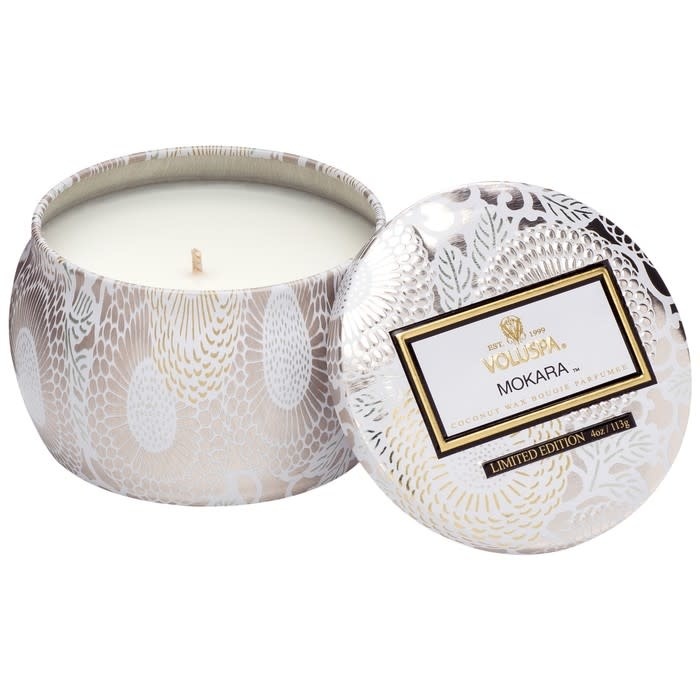 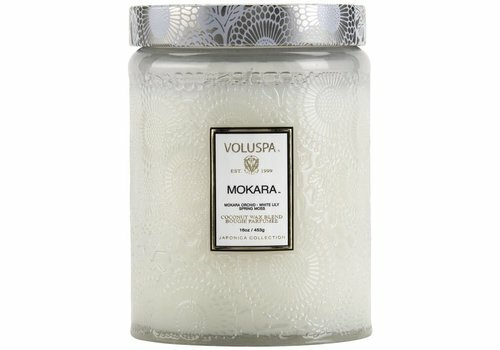 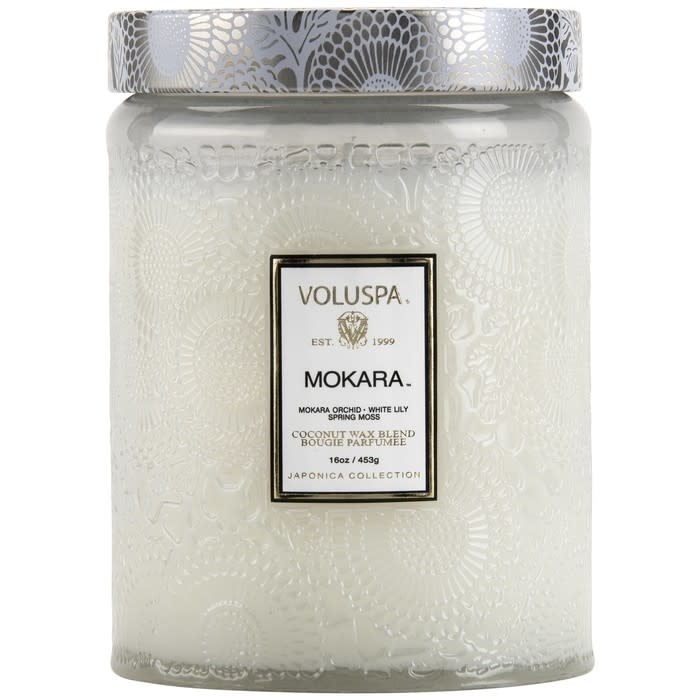 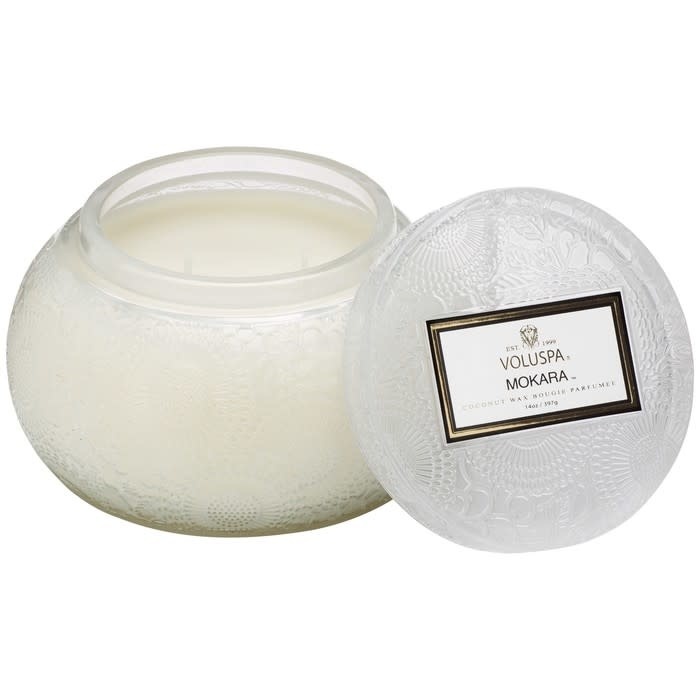 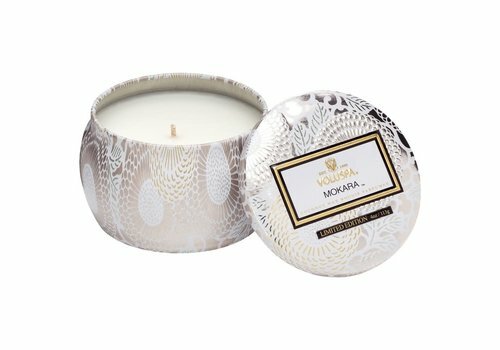 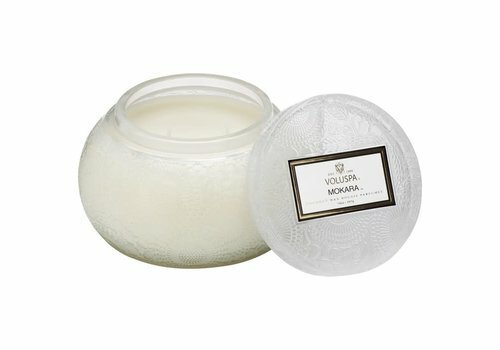 Mokara: Notes of Mokara Orchid, White Lily, Spring Moss.The perfect size to pepper throughout a room, you'll enjoy a clean burn with our proprietary coconut wax blend. 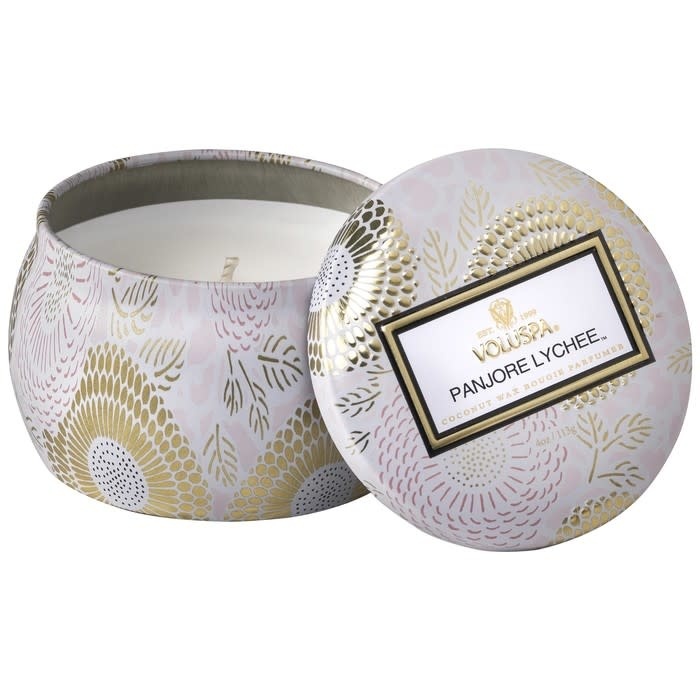 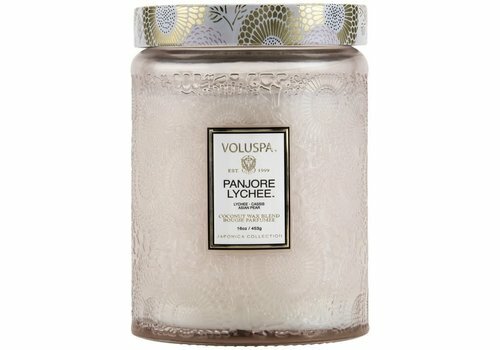 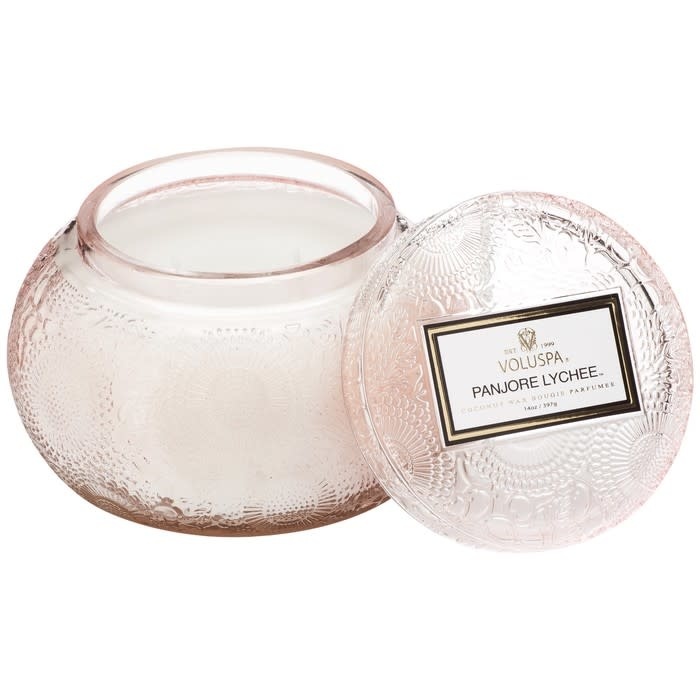 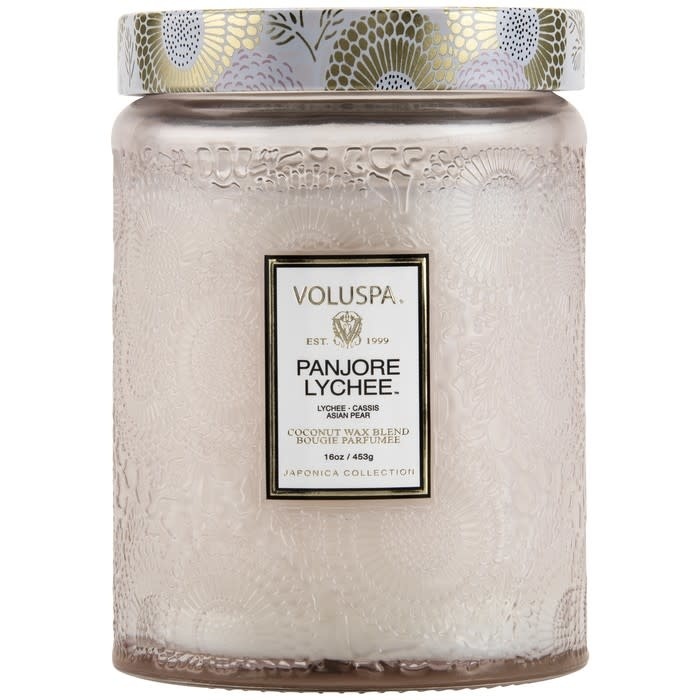 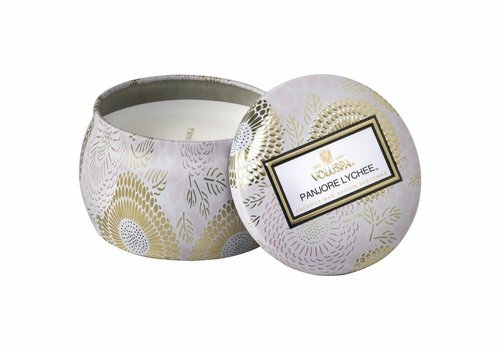 Panjore Lychee: Notes of Panjore Lychee, Cassis, Juicy Asian Pear.The perfect size to pepper throughout a room, you'll enjoy a clean burn with our proprietary coconut wax blend. 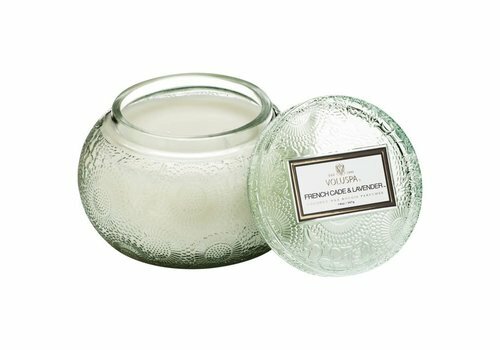 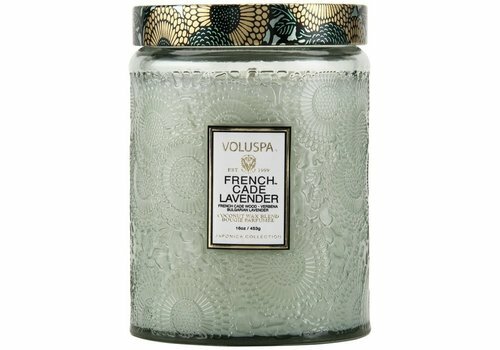 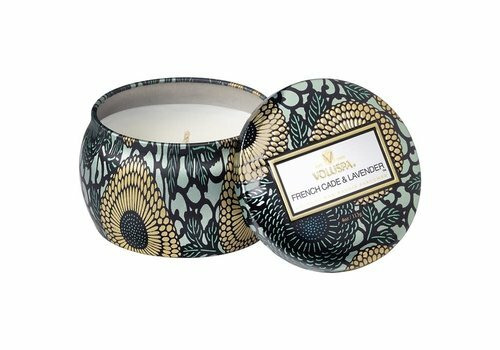 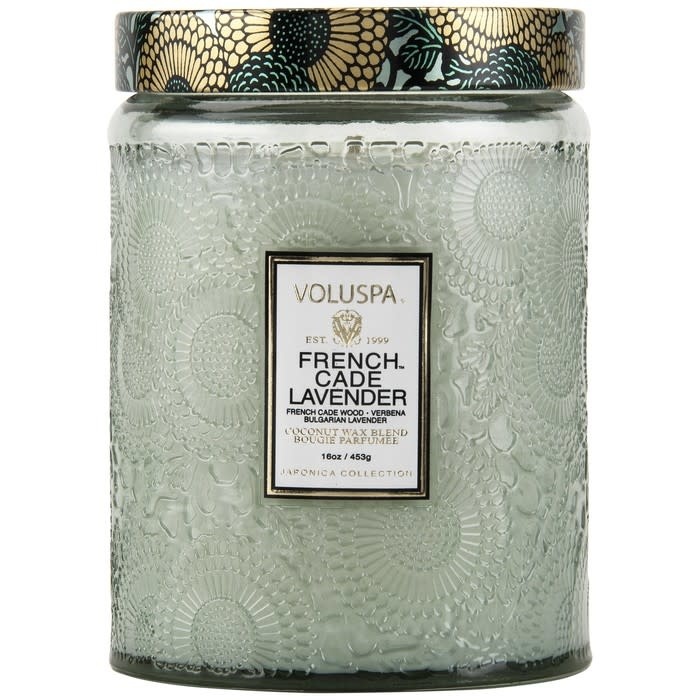 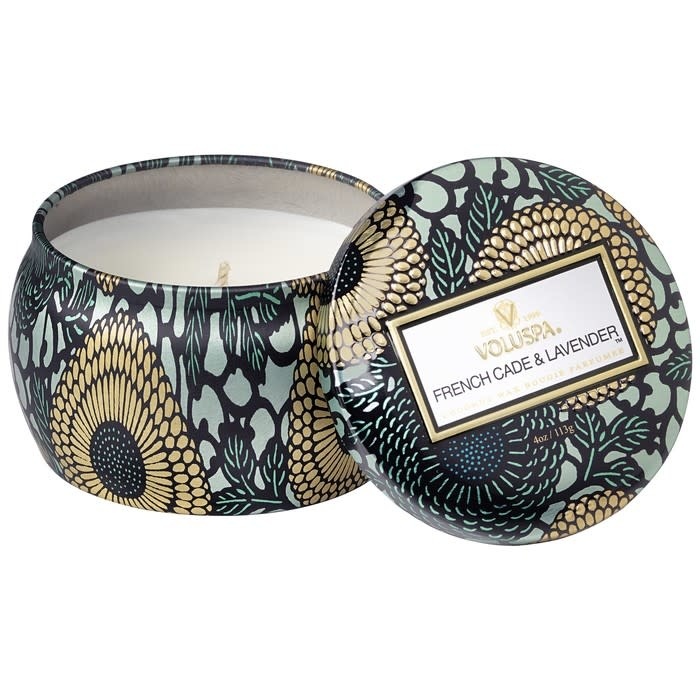 French Cade Lavender: Notes of French Cade Wood, Verbena, Bulgarian Lavender.The perfect size to pepper throughout a room, you'll enjoy a clean burn with our proprietary coconut wax blend. 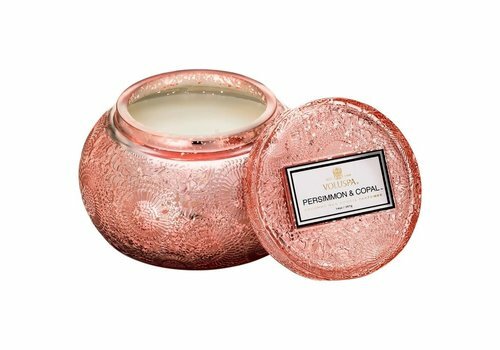 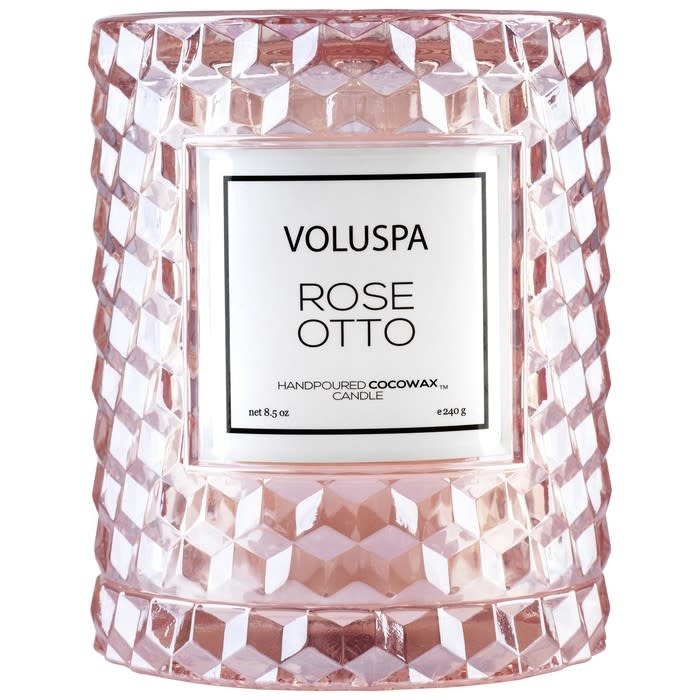 Embossed with salient detail, the container is a perfect centerpiece while accessorizing a space, as the clean burn delivers fragrance to every corner. 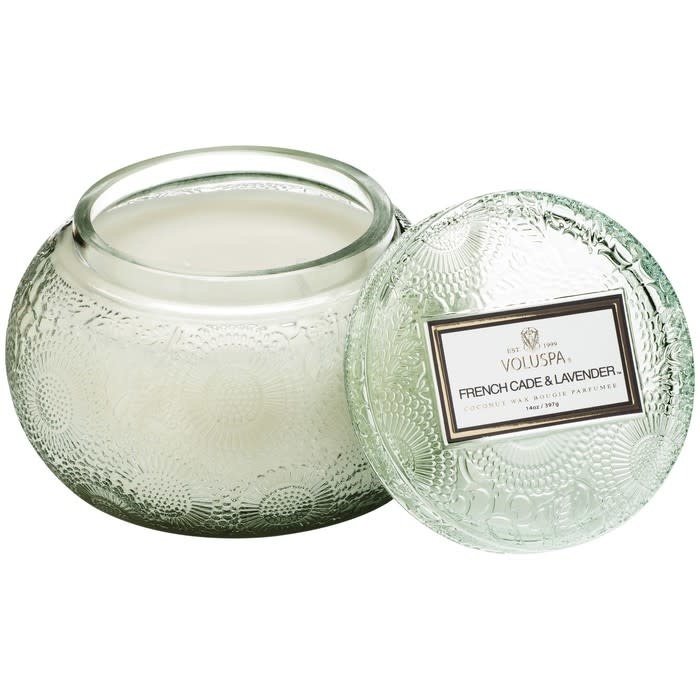 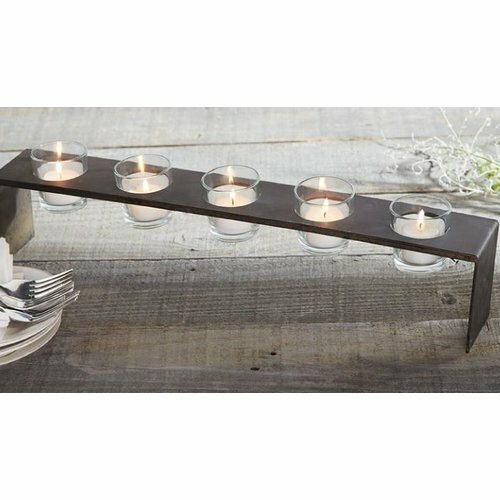 An artistically designed candle glass and glass cover. 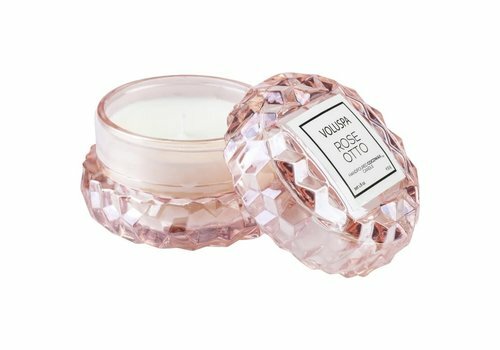 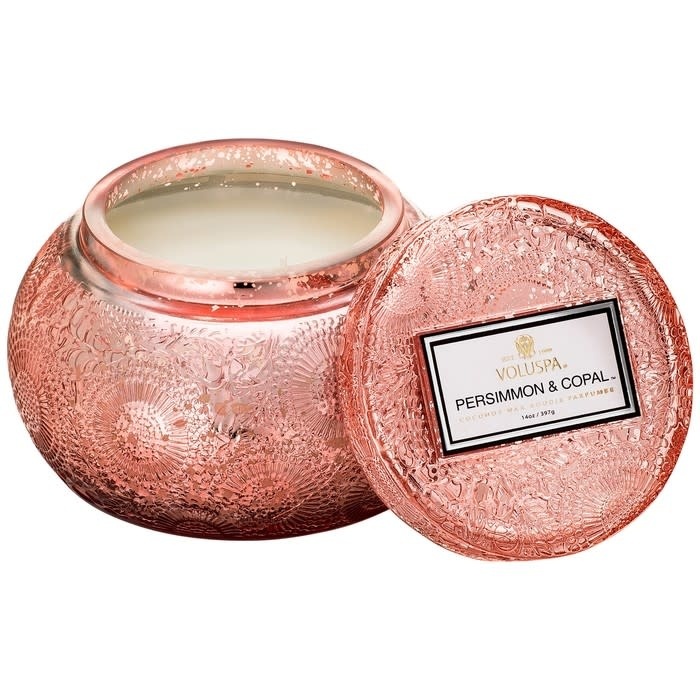 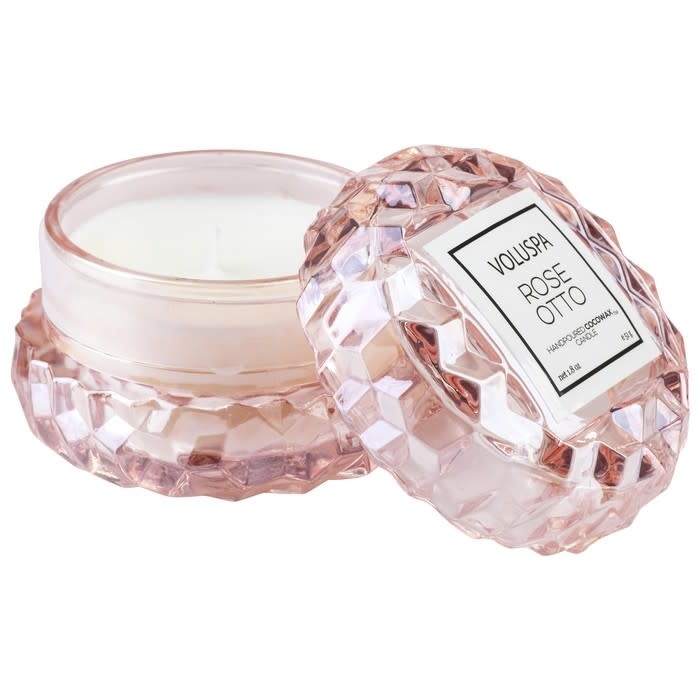 Filled with 8.5 oz of lush rose inspired COCOWAX, this unique glass/cover duo is an instant upgrade to any space.